Ecological systems thinking is an attractive conceptual tool for understanding the complexity of the entanglement of the biological environment (ecological systems including human social systems) with the physical environment. 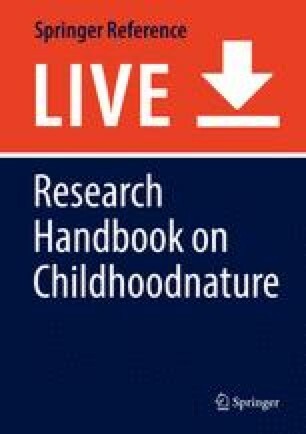 Attention to such interactions in light of Anthropocentric system changes, and the focus of this handbook urges (re)exploration of ecological systems within childhoodnature. Accordingly, in this introduction to childhoodnature ecological systems and realities, we explore systems thinking and ecological systems, the interaction of humans within the systems and consider a posthuman turn for reconceptualising ecological systems thinking in childhoodnature.